It’s almost impossible not to have heard of CBD in 2019. The herbal remedy derived from hemp can be found everywhere in products like snacks, beverages, and even dog treats. But, is CBD for dogs actually effective? And most importantly, is it safe? CBD is an abbreviation for cannabidiol, one of the many compounds known as cannabinoids found in hemp. 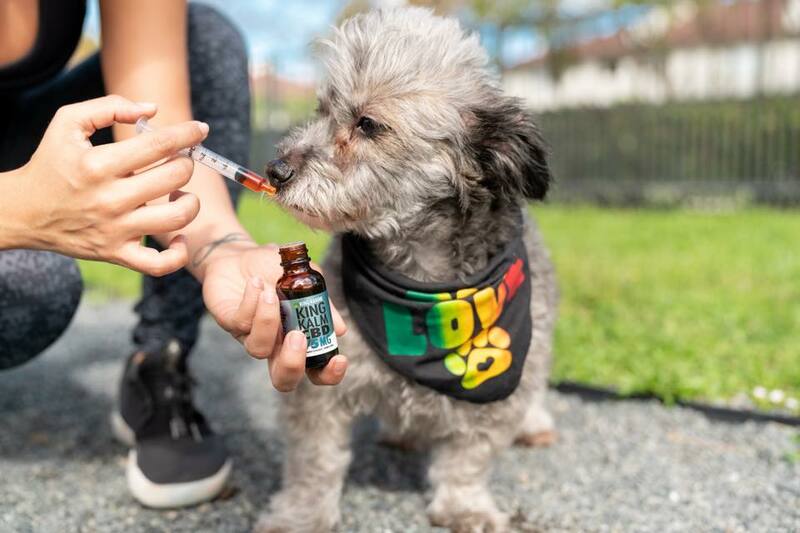 In the last decade, the popularity of CBD for humans and pets has skyrocketed thanks to its potent therapeutic properties which can improve important bodily functions and promote overall wellness. What Animals Can Use CBD? When humans consume CBD, it interacts with elements in our endocannabinoid system, the complex network of receptors responsible for regulating some of the most important biological functions including pain, sleep cycles, and feelings of anxiety. The endocannabinoid system (ECS) is present in all mammals, including house pets like dogs and cats. In animals, the ECS has many of the same functions it has in humans, helping to maintain internal balance by managing functions like pain sensitivity, anxiety, metabolism, stress, and sleep, among others. CBD for pets interacts with ECS receptors to support the various functions associated with a healthy endocannabinoid system. As many pet owners have found, CBD oil can help with some of the most common conditions affecting house pets. Separation anxiety and loud noises are two common factors that can trigger feelings of anxiousness in dogs and cats. If left untreated, stress and anxiety can have serious consequences on your dog’s behavior and overall health. CBD has been extensively studied for its calming effects on the mind and its ability to help maintain normal emotional balance. A daily dose of CBD for dogs or cats can promote calmness caused by separation, travel, loud noises, or any drastic changes in your pet’s daily routine. As dogs and cats age, physical pain can become more recurring and severe. Over time, joint and muscle pain can be extremely detrimental to your pet’s physical and mental health. Limited mobility and a lack of play time are linked to health risks like weight gain, heart disease, and even depression. Thousands of pet owners have also turned to CBD for symptoms related to seizures. 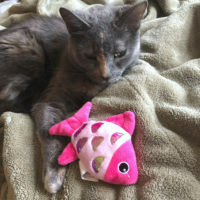 In humans, CBD medications like Epidiolex are commonly used for conditions like epilepsy, so naturally, owners have begun to use CBD for pets to treat similar conditions. While results have been generally positive, more research is needed to learn about the long term benefits of CBD for seizures. Despite its close relation to cannabis, CBD will not get your pets high. This is because the compound responsible for the psychoactive effects of cannabis is THC or tetrahydrocannabinol. Is CBD for Pets Legal? In 2018, the U.S. Congress passed a bill legalizing hemp nationwide. As a result, hemp and hemp-derived products are legal at the federal level. There are currently no specific laws or federal agencies regulating CBD for pets, so it is crucial you purchase CBD from a trusted manufacturer. In addition to being non-psychoactive, CBD products for pets are entirely safe. They are not known to have any harmful side effects and carry no health risks in the long run. In rare cases, CBD may cause drowsiness, but this usually occurs with larger doses for the most debilitating symptoms. What Is the Best CBD for Pets? Because CBD extracts are so highly versatile, CBD products for pets are available in a large variety of forms. The most popular CBD products for pets include oils, treats, and topical solutions. While all these types of products work wonders for pets, deciding what CBD product to buy depends solely on your pet’s size and individual needs. If you are not sure what type of CBD to give your pets, or how much CBD to give them, consult with a veterinarian for personalized guidance and advice. Where Can I Buy CBD for Dogs and Cats? If you want to learn more about CBD for pets and the best CBD brands for your furry friends, click here. I’ve heard many people talk about the benefits of CBD. I really didn’t know that they could work for pets! That’s news to me! I hear about CBD all over the place. It would seem it has several qualities that are beneficial. I’ve recently heard of CBD being used for anxiety. 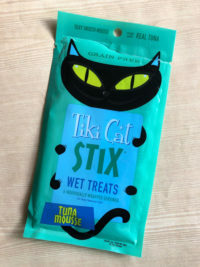 Never in my life would I have thought it could be something used for pets! So cool! 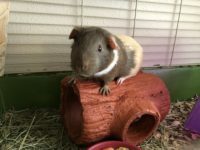 What an awesome medicinal alternative to try for your pets – especially for those with seizures! Interesting I actually hadn’t considered it for pets.